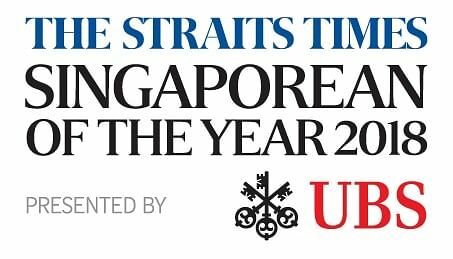 The Straits Times Singaporean of the Year award seeks to honour extraordinary acts of goodwill, ingenuity or perseverance by Singaporeans who have made a positive impact. Here are the 11 finalists for the fourth edition of the award. From writing a bestselling book that sparked a national discussion on inequality to risking life and limb to be part of Thailand's extraordinary cave rescue, their deeds have made them headliners this year. Now as the year draws to a close, the nominees for Singaporean of the Year are looking forward to another productive year. Veteran diver Douglas Yeo, 50, who helped in the evacuation of the last five victims in Tham Luang cave in Chiang Rai, hopes to focus on doing what he does best - diving - and sharing his rescue diving experiences through talks or workshops. The other Singaporean who was involved in the Thai cave rescue - Mr Poh Kok Wee, 57 - intends to continue keeping fit to be ready to help with other rescue missions, despite his age. 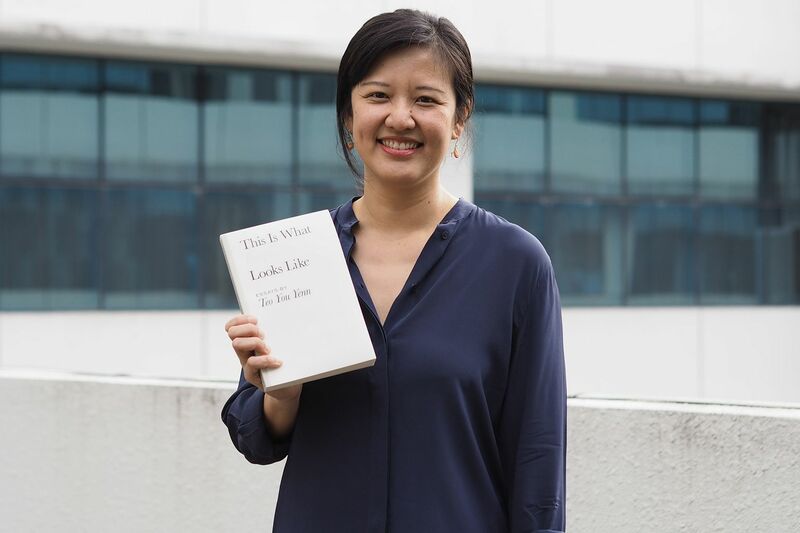 Sociologist Teo You Yenn, 43, author of the book This Is What Inequality Looks Like, said the big goal for Singapore should be "redistribution from those with more than enough to those with less than enough to meet needs". However, society could start by coming to a consensus about a baseline below which no one in our society should fall, she added. Miss Siti Noor Mastura, 28, who will soon quit flying as an air stewardess to focus on her non-profit work, also wants to lift families out of the cycle of poverty. "That is very achievable. We have journeyed alongside some families and done it. We want to make it happen for more families," she said. 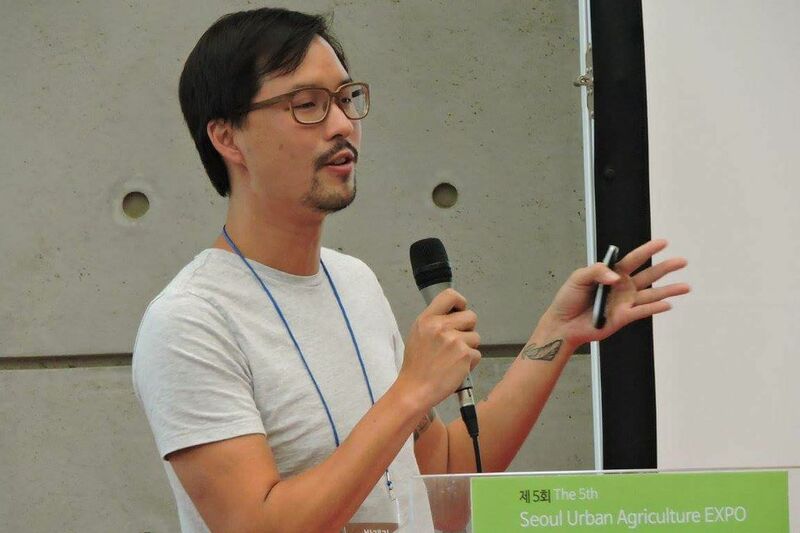 Urban farmer Bjorn Low, 38, wants to bring healing to the vulnerable through green spaces. "My team and I are immersing ourselves in the practice of therapeutic horticulture and care farming so as to use our farms and gardens as healing spaces for the community." Vote for who you think should be The Straits Times Singaporean of the Year at str.sg/soty18vote; voting closes at 6pm on Jan 15. Others have dreams of harnessing technology for social good. 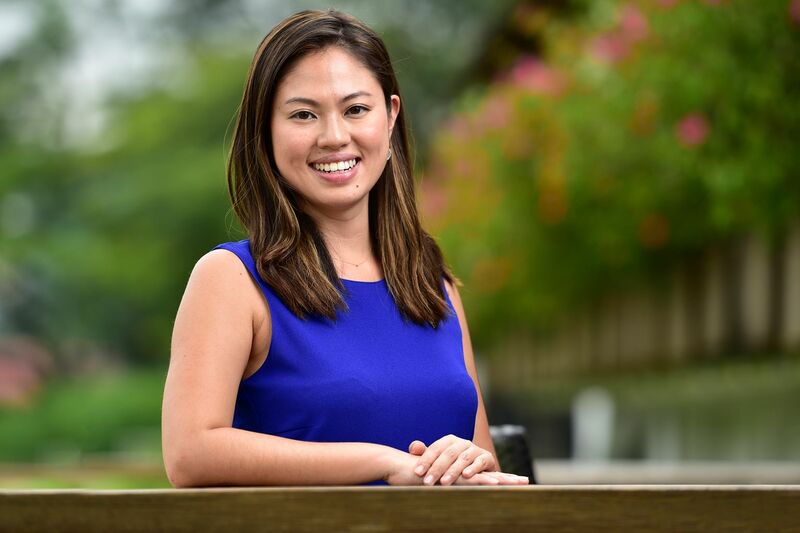 "I wish for more engineers and developers to realise that they have an increasing influence and hence responsibility in deciding what our future will look like," said technopreneur Annabelle Kwok, 26, who started NeuralBay, a company that offers artificial intelligence-driven solutions for multinational corporations. "The true power of technology lies in the wisdom of how we build and use it," she added. Public voting for The Straits Times Singaporean of the Year 2018 award begins today at str.sg/soty18vote and ends on Jan 15, and the outcome will be used as a reference by the 14 judges when making their final decision. Dr Goh Wei Leong and HealthServe, which provides migrant workers with affordable healthcare, won last year's Singaporean of the Year award. Olympic gold medallist Joseph Schooling and his parents, May and Colin, and Madam Noriza A. Mansor, who won hearts when she helped a senior who soiled himself in public, were the winners in previous years. The Singaporean of the Year will receive $20,000 and a trophy, while each of the other 10 finalist teams will get $5,000, among other prizes. The prize money is sponsored by the bank UBS Singapore. Other sponsors are Tridente Automobili, Singapore Airlines, Millennium Hotels and Resorts, and Osim. The winner will be announced at an awards ceremony held at the Istana on Feb 12. President Halimah Yacob will be the guest of honour. "Once again, we have an impressive line-up of nominees for the ST Singaporean of the Year, from Singaporeans who are blazing a trail in their fields, to going out of their way to help and support those in need at home and abroad, to sparking debate and action through their ideas and initiatives," said Mr Warren Fernandez, editor-in-chief of the English/Malay/Tamil Media Group of Singapore Press Holdings and editor of The Straits Times. "What better place to gather these inspiring members of our community than the Istana, to celebrate their good efforts and to recognise the choice of this year's ST Singaporean of the Year. We are most grateful to President Halimah, the award's patron, for so graciously agreeing to host us at the Istana as it marks its 150th anniversary." Mr Robert Chew is among Singapore's oldest and top blood donors, having donated blood 184 times. He first started donating blood at the age of 18 and has been going to the blood bank to give the gift of life three to four times every year since. Mr Chew's 184 donations would have added up to more than 70 litres of blood, or about 210 cans of soft drinks. Another way of looking at it - Mr Chew has drained his body of blood 18 times over his lifetime as a donor. When he turned 60, he made sure to go for medical check-ups every year so he could continue donating blood. "I don't see a point in stopping my donations despite my age because each donation can save potentially three lives," he said. Over five decades, that would mean making a difference to 552 people. 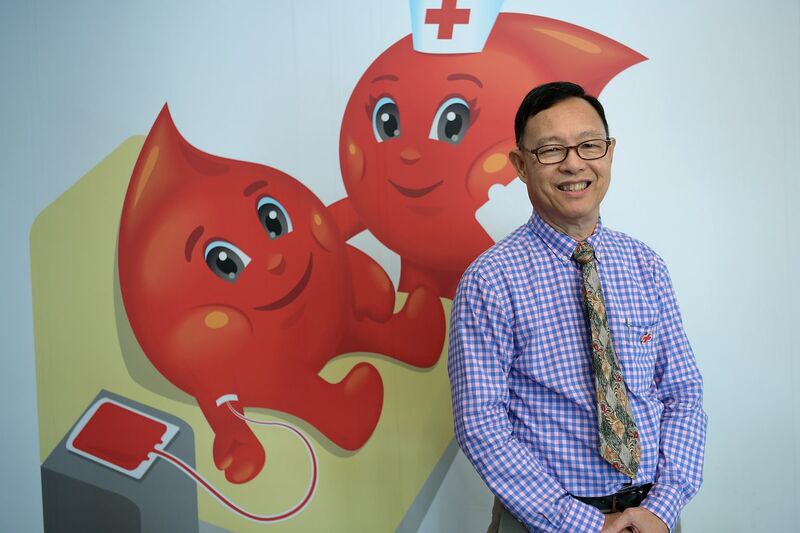 To keep fit and healthy enough to donate blood, Mr Chew drinks milk every day, eats a balanced diet and jogs regularly. Technopreneur Annabelle Kwok has made waves as the founder of an artificial intelligence (AI) company and a wearer of many hats. 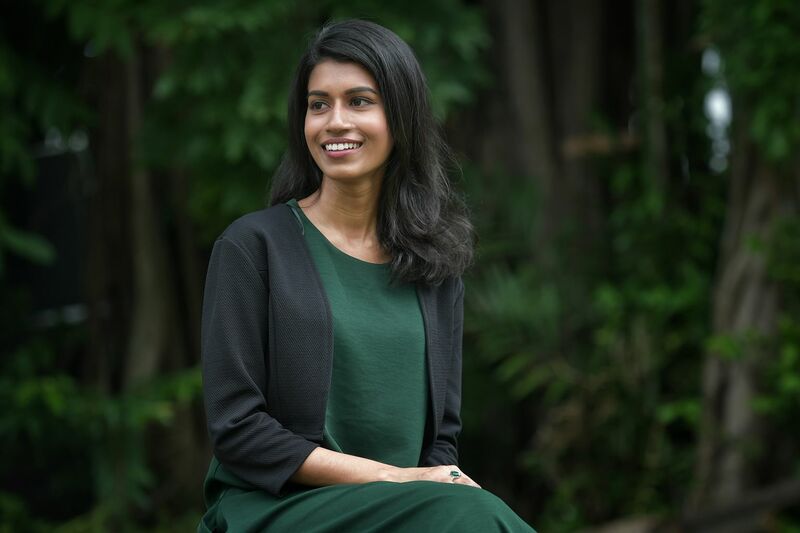 At just 26, she is already the founder of NeuralBay, a company that focuses on detection and recognition software related to humans, objects and text, and offers AI-driven solutions for multinational corporations. Her clients include an aviation corporation, an automation industry company and chocolate company Ferrero. The Nanyang Technological University mathematics graduate is also a hardware hacker, marathon runner, musician and avid volunteer. Ms Kwok wants to use technology to do good. 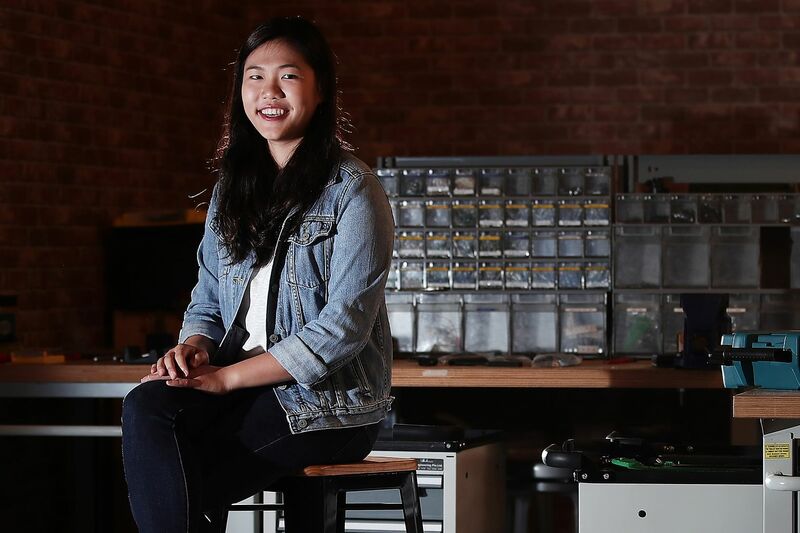 "I want to share useful technologies with the companies which feel left out of the whole race for innovation and don't have the resources and skills to build it by themselves," she said. A former advertising man working in Britain, Mr Bjorn Low came back to Singapore in 2012 to start an urban farming social enterprise. From an initial capital of $10,000, Edible Garden City looks to hit $1.5 million in revenue this year. It was a pioneer in turning underused rooftop spaces into farming spaces in buildings such as Wheelock Place and Raffles City. In 2015, it piloted in Queenstown an urban farming model that involved the community, called Citizen Farm. In 2014, Mr Nizar Mohamed Shariff set up Free Food for All, a charity that provides free cooked meals for the needy. Each year, the charity cooks up to 100,000 meals for 3,000 elderly or low-income residents living in rental flats across Singapore. It also delivers up to 12 tonnes of food and groceries every month. The charity has fed not just the needy in Singapore, but also those overseas. Last year, it set up soup kitchens in quake-affected areas in Lombok and Sulawesi, Indonesia. 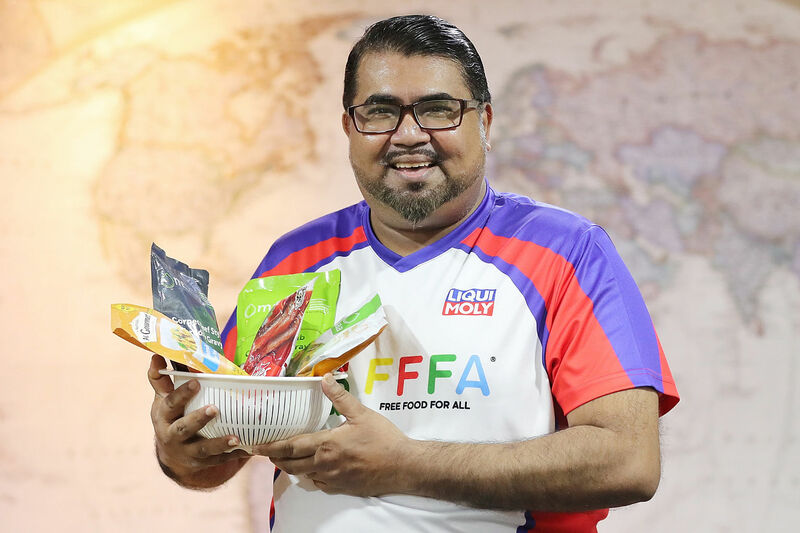 After starting a project to distribute food to the Rohingya refugees in Cox's Bazar in Bangladesh this year, Mr Nizar is now working on delivering ready-to-eat food to war-torn Yemen. He hopes food can empower people. "Through food, we hope to empower our beneficiaries to be able to move forward and be contributing members of the community." Mr Harbhajan Singh was given the title of "Emeritus Fellow" by Tan Tock Seng Hospital in 2015, becoming the only nurse to have received the award, which is normally bestowed on doctors for their lifetime contribution to healthcare. Mr Singh joined the hospital as a tuberculosis nurse 53 years ago. The skills and experience garnered from a lifetime of nursing work prepared him well to meet the biggest challenge of his life: fighting a national crisis. In March 2003, the severe acute respiratory syndrome (Sars) hit Singapore, and the Communicable Disease Centre (CDC) became the main battlefield. Mr Singh played a key role in getting the CDC ready for Sars patients as well as managing distressed family members of patients, and the donations that were streaming in. 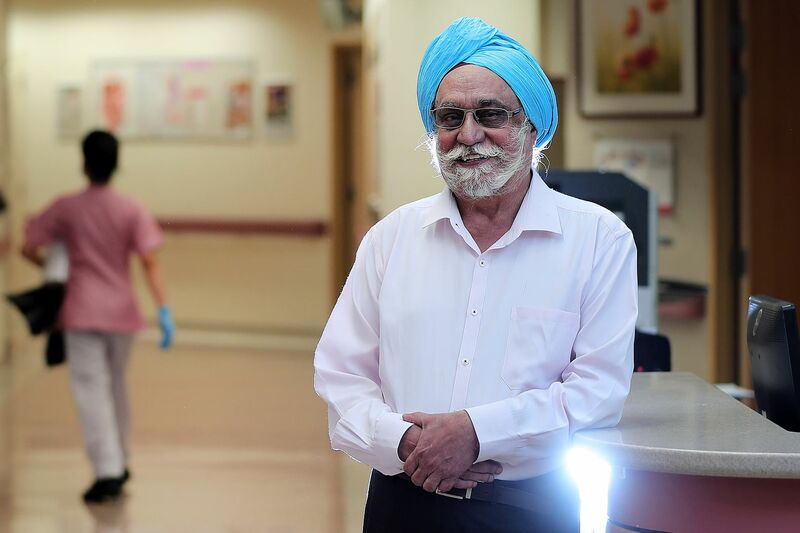 Said Mr Singh, who is still working part-time at the hospital: "As long as I can still contribute, I will keep working here." Her family moved 11 times in five years, not wanting to outstay their welcome in relatives' homes. Her elder sister and her mother also battled mental illnesses. Despite these challenges, Miss Noor overcame the odds to start Back2Basics in 2013, a non-profit group that delivers free halal groceries to beneficiaries including the elderly who are homebound and single mothers, the first such service for halal food items. She also started the non-profit Interfaith Youth Circle (IYC), which does monthly scriptural reasoning sessions where people of various faiths discuss excerpts of religious texts from different faiths but of the same theme. IYC also runs campaigns encouraging Muslims to open their homes to celebrate Hari Raya Aidilfitri with strangers of other religions. For the past seven years, Ms Elizabeth Tan, managing director of home-grown brand Heatwave Shoes, has organised annual mobile eye clinics for poor communities in remote regions of the Himalayas. She founded a charity Sight To Sky, which organises annual mobile clinics in India, Pakistan and Nepal. With a team of medical and non-medical volunteers, the 33-year-old traverses hard-to-reach mountainous regions to provide basic healthcare checks. During these missions, the charity treats about 1,000 to 1,500 people. Sight To Sky also offers dental services as well as consultations for women's health issues. It aims to reach more remote communities. Plans are under way to build a permanent eye clinic in the Ladakh area in India. Teacher Teo Yee Ming has led Hai Sing Catholic School's robotics team to win the world's most prestigious robotics competition no fewer than four times. A former design engineer, he took over the school's robotics club in 2009. Under his charge, the school topped the middle-school category in the VEX Robotics World Championship in 2012, 2013, 2015 and 2017. He is passionate about getting secondary school students interested in Stem subjects - science, technology, engineering and mathematics - and has been designing the school's curriculum for these subjects over the past five years. Last year, Mr Teo won the inaugural Outstanding Stem Teaching award given out by the Singapore Association for the Advancement of Science and the Science Teachers Association of Singapore. "I wanted to impact more children, to engage them and harness their interest in engineering," he said. Mr Kenneth Thong and his wife Adeline left their jobs and welcomed into their home youth without a roof over their heads. These young adults could be unwed mothers, teenagers who lived on the streets or those with mental problems. Most are from dysfunctional families and have nowhere else to go. Many are too old for institutional care or fostering. There are five bedrooms in the couple's rented terraced house in Seletar called The Last Resort. There are no rules or limits to how long the youth can stay. Ever since they got married, there has hardly been a time that the Thongs, who do not have children, have not had a young adult staying with them. They have housed more than 35 of them, for stays from a day to three years. Said Mr Thong: "We want them to experience what a normal, safe, functional family looks like." Associate Professor Teo You Yenn, head of sociology at Nanyang Technological University, is the author of one of the bestselling local books this year, This Is What Inequality Looks Like. The book of essays is drawn from ethnographic research she embarked on to better understand the lives of people who live in Housing Board rental flats. With more than 20,000 copies sold, the book has sparked a national conversation on socio-economic inequality in Singapore. In the book, Prof Teo shows how class inequalities are embedded in education, labour, care and welfare. A key finding was that family life was bound up with other aspects, such as employment. Everyone has to come together to tackle inequality, she said. "If you have had opportunities in your life, then you have a responsibility to make sure that these opportunities are also available to others." Veteran diver Douglas Yeo played a key role in the evacuation of the last five victims in Thailand's extraordinary cave rescue this year. He formed a human chain with 29 others to carry the boys through a stretch of uneven terrain in the cave. At one point, Mr Yeo slipped 2m down into a crevice. But it was all worth it when he saw the boys being taken out. Mr Poh Kok Wee, who has experience in high-rise rope work, noticed that operations at the main cave entrance were stalled by heavy rain and flooding. He met army officials there to propose scouting for alternative entrances. 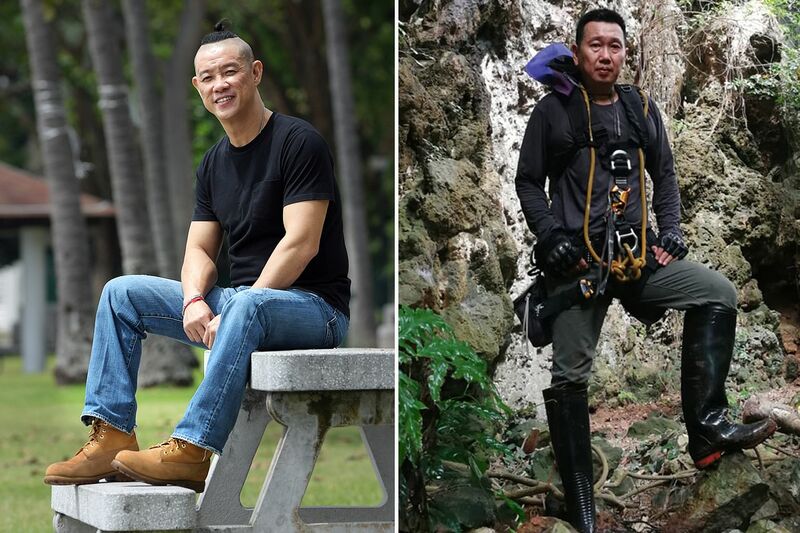 Mr Poh and his team used ropes and climbed up the mountain to up to 2,000m above the water level to check out 15 holes that could lead to the missing boys. By using sensors in one of them, they detected the location of the boys, who were found shortly after.